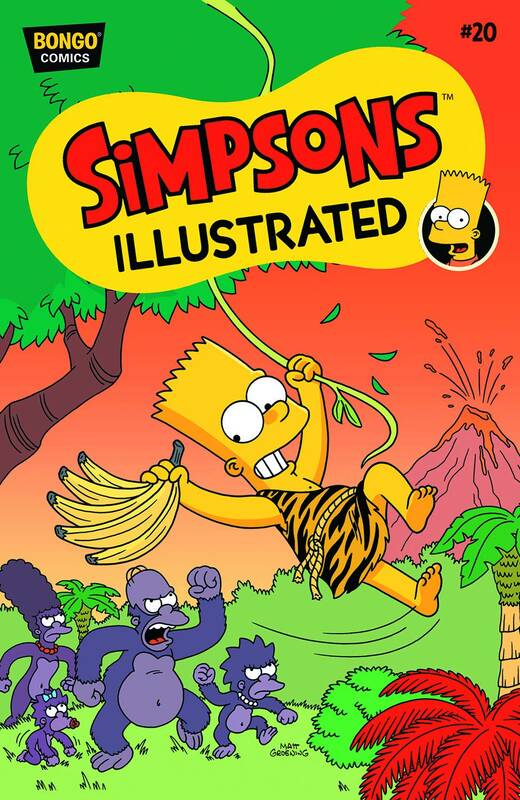 Simpsons Illustrated #20 is the twenty issue of Simpsons Illustrated, that was released on December 2, 2015. 2.2 Bartzan and the Ancient Forbidden Golden City of Gold! "Designated drivers and designs on drunks are the farthest thing from Duffman’s real dreams when he turns in his six-packs for a new life. But who will fill the void and belly up to the bar when Duffman is no more? Then, Lisa matches wits with Principal Skinner in a Springfield Elementary whodunit, and Bartzan discovers the legend of the Ancient Forbidden Golden City of Gold!" Main article: The Duffman Cometh! Modified on July 25, 2017, at 08:45.